We live next to KY Lake (large lake) and have the insect (in the picture below) coming to our house (attracted by light) in huge swarms. The good news is they don’t bite but we have to blow off our deck (sometimes 1″ deep pile by our doors). They don’t live very long. Can you let us know what they are and how to treat (if possible). Are they coming from grass or from the lake? Thanks for the help. 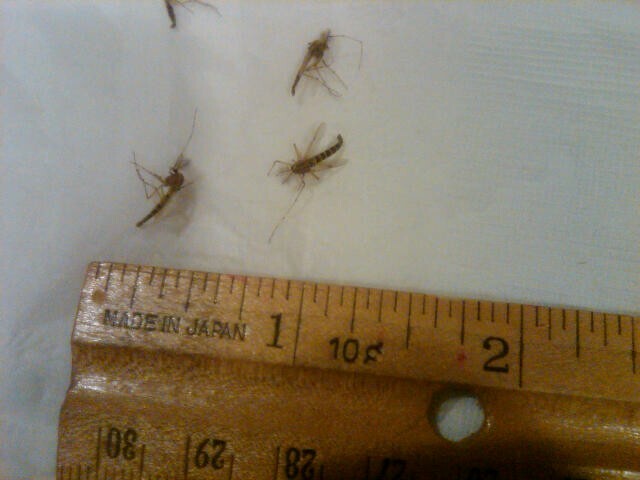 These look to be a species of midge. 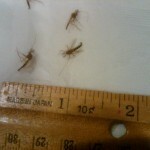 Basically they’ll become active in the spring, typically live around ponds, lakes, etc. and will arrive in massive “swarms” when the conditions are right. Most species don’t bite (though some do) and since they look a lot like mosquitoes, people tend to panic when they’re seen. The good news is they’re easy to control. And the preferred method of midge control is to use a fogging machine and a misting concentrate that’s okay to use around lakes, ponds, etc. Depending on the size of the lot you need to treat, any of the following fogging machines will work. For 5,000 sq/ft to 20,000 sq/ft (1/2 acre), the FM6309 will be strong enough but it will require a power cord. Anything larger than 1/2 acre, get the Back Pack Mist Blower. It’s plenty powerful, portable (gas operated) and makes the task easy to handle. 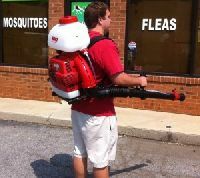 I treat my 1 acre lot in 10-12 minutes for mosquitoes and other flying pests and this machine makes the task manageable. As for what to fog; the Essentria IC is labeled for use around boat docks and over water like ponds and lakes. Made with food grade active ingredients, Essentria IC is safe enough to be used as frequently as is needed and won’t pose any threat to the aquatic life, people or pets. In most cases you’ll get 10-14 days of control once the problem has been reduced but expect to treat more frequently this time of year. But you are able to use it as much of it as you want so there is no chance of over applying it. Now how much product will it take to treat? Expect to use 2-3 gallons per 1/2 acre if you have a decent amount of vegetation; less if it’s a wide open space. And be sure to treat everything in the landscape since midges can thrive in plants, mulch, rain gutters, etc. Basically anywhere moisture can accumulate. Worth mentioning is a juvenile growth hormone concentrate that can provide extra long protection compared to the Essentria. You won’t be able to use it over the water but you can use it within 100 feet of the waters edge so if you have a lot of vegetation where you suspect the midges might be nesting away from the water, use Nylar to get extra long protection. Basically treatments with Nylar will last a month or more and in the long run, greatly reduce the need to be fogging with the Essentria. Thanks for the tips! I will be getting with you for some treatment chemicals very soon.